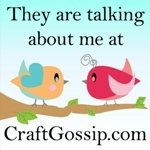 I have no amazing crafts to or sewing projects to blog about. I haven't made any fantastical summer desserts. I haven't sewn the girls any fab clothes. I haven't celebrated any quirky holidays. You see, I've needed a little break. I've needed to get my house in order. I've needed to spend more time with Dan. I've needed to clean out my garage. I've needed to stay up late and sleep in. I've needed to rearrange my bedroom furniture. I've needed to celebrate Father's Day and Dan's birthday. I've needed to be a little lazy. I now NEED to get creative. 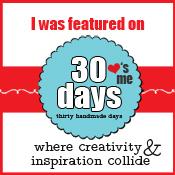 I need to craft, sew, bake and celebrate. Tonight for dinner Dan barbequed some yummy steaks and I made some DELISH oven fries. You NEED to try this recipe next time you serve up some hot dogs, hamburgers or steaks. Don't forget to make the sauce that goes with them-- super tasty!!! We had our dresses and fascinators ready! Your loss Wills & Kate. Harry... don't let us down. So, since Scarlet was born in July and Wednesday was born in November, their seasons are off clothing wise. The clothes Scarlet wore at 3 months were all summery, but at 3 months, since it's the middle of winter, Wednesday need warmer clothes. Now I could go out and buy her a complete new wardrobe (sounds sooooooo fun!!! ), but that would be just wasteful, SOOOOO I simply make all of Scarlet's old clothes work for Wednesday. What does this entail? Well, a couple of items are a must-- knit hats, long sleeved onesies, cardis and leg warmers. I can turn ANY summer frock or romper into winter wear in a snap with these few items. As you can see above, this outfit was completely MEANT for summer. Well, since Wednesday was clearly going to outgrow it before the summer arrived, I winterized it. I simply added mary jane socks, a long sleeved onesie and a knit cap and voila!!! !--- a winter outfit was made! So, it was Wednesday's first Christmas and the pressure was ON! What was she going to wear???? Would I go classic Christmas plaid?-- adorable, but no. Would I go classy black velvet?-- gorgeous, but not quite right. Would I go elegant and dress her up in red satin? -- again, sounds fantastic, but... not it. If only I could find an outfit for Wednesday Jones that looked like it was made by VERY fancy elves hyped up on candy canes!!! But where was I to find such a look? P.S.- I KNOW I made it, but I've still gotta gush... how cute is that elf hat?!?!? One of my very favs!! !